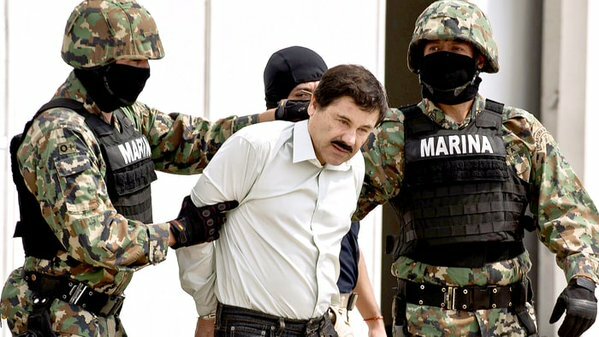 Mexican drug lord “El Chapo” was recaptured in a firefight today in Sinaloa state. Mexican President Enrique Pena Nieto announced Friday that fugitive drug lord Joaquin “El Chapo” Guzman was recaptured seven months after he escaped from a maximum security prison. Five people have been killed and one Mexican marine wounded in the clash. At the home marines seized two armored vehicles, eight long guns, one handgun and a rocket-propelled grenade launcher.